Bridie's Fire is the tale of a fiery Irish girl who leaves Ireland to find a home for herself in goldrush Australia. Bridie's world is torn apart when her parents and baby brother die in the Great Hunger. She leaves Ireland, and strikes out alone to claim a life for herself in Australia, on the other side of the ocean. 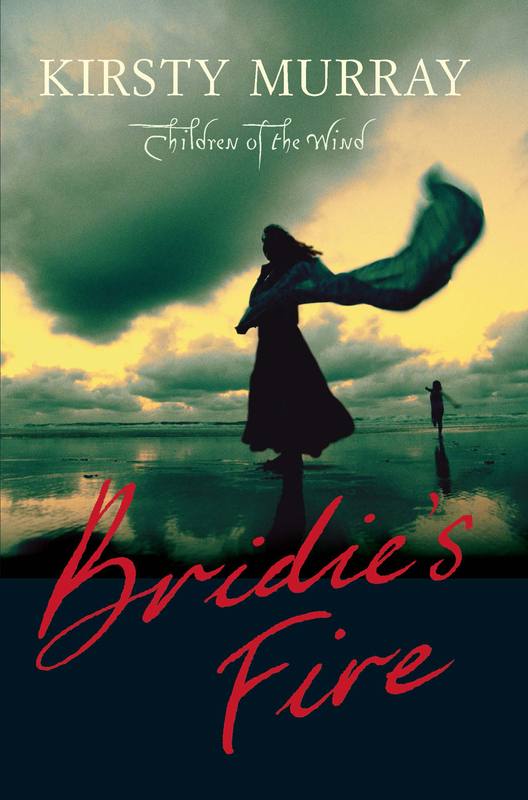 Bridie's Fire is heart-warming story of courage and resilience. It affirms Kirsty Murray's keen understanding of the human spirit. Starting in the 1840s and ending in present-day Australia. The Children of the Wind quartet tells the stories of four courageous young people, Bridie, Billy, Colm and Maeve, born fifty years apart. The central character from each book becomes a mentor to the child in the next. Kirsty Murray is the author of three popular junior novels - Zarconi's Magic Flying Fish (winner of the WA Premier's Children's Book Award, 2001), Market Blues and Walking Home with Marie Claire - and several non-fiction books for children. She has worked as a forest ranger, archivist, artist and teacher, and now is a full-time writer.